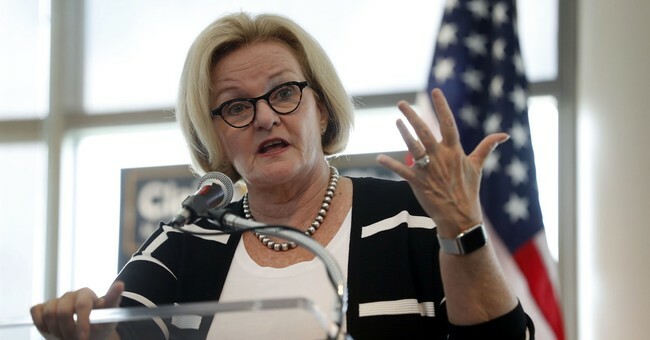 McCaskill needs every vote she can get. For black voters, who are key in her re-election bid and a key Democratic Party voting bloc, they’re not enthused by her at all. We all knew she was going to vote against the Supreme Court nomination of Judge Brett Kavanaugh. It wasn’t due to the baseless and evidence-free allegations of sexual misconduct that were hurled against him. It was because he was soft on hard money, or something. Yeah, says the woman who benefits from a dark money PAC—Senate Majority PAC—which is financed by wealthy liberal millionaires and billionaires who aren’t from her state. With her vote against Kavanaugh, the embattled red state Democrat might have stepped on a rake, as more women are now less likely to vote for her in November.